We want you to feel like at home and that your vacation stay with us in good memories. When you feel native atmosphere at Pansion "Rose" you gonna wish to back every time when you visit Mostar. 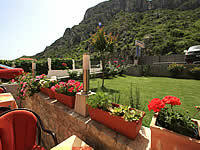 Flower garden is excellent place for relaxation and refreshment. Pansion "Rose" has private parking only four our guests. Pansion "Rose" is guesthouse with 15 years long hospitality tradition. It has been completely renovated in year 2005. We are located only few minutes away from the very center of Old Town and Old Bridge. 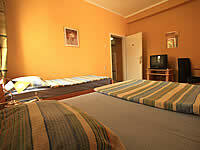 We provide "bed and breakfast" service with usage of guest kitchen. All rooms are equipped with all technical assets required in all modern European pansions: TV with local and satellite channels, hair dryer in bathrooms, A/C, Internet connection, etc. 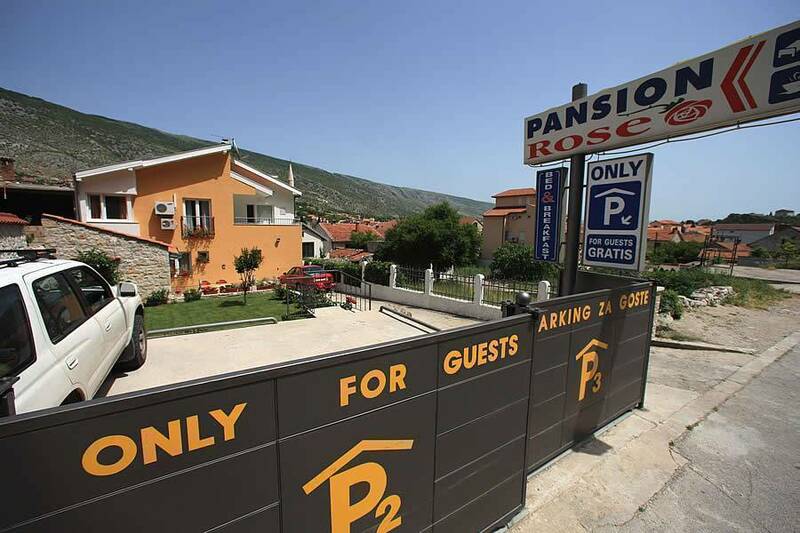 Pansion "Rose" offers 24-hours guarded parking place, free of charge for guests. The best way to find us if you are coming by car from Sarajevo is to go into the town and first traffic light you turn to the right, across the bridge and next traffic light to the left and then just straight ahed until you see our big sign „Pansion Rose“. If you are coming from Dubrovnik by car, first traffic light to the left, across the bridge and right. Then only straight ahed until you see our house and big sign „Pansion Rose“. If you are coming by bus or train, please call us so that we can come to pick you up.